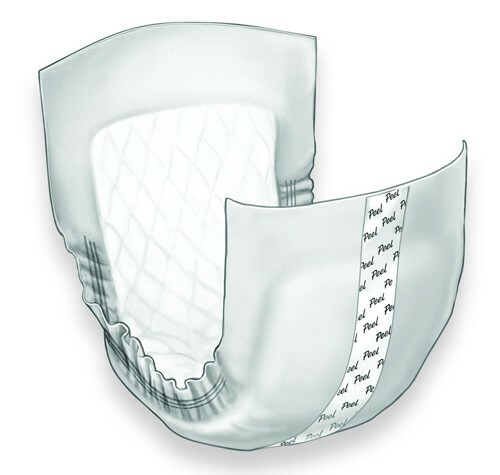 Adhesive style provides polymer-assisted fluid retention in a discrete fit. I have used this product for many years and very satisfied, but this year the product s , pads vary in thickness and waterproof quality. much better than depends or other products of the type. I bought this for my grandmother and she feels very comfortable. These undergarments absorb very well and prevent bad odor. It fits also comfortably in her body and maintains dryness. I strongly recommend this product.